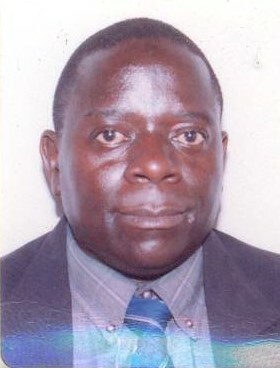 Pius Mwambene works for the Tanzania Livestock Research Institute (TALIRI) in Uyole and is subnational coordinator responsible for execution of African Chicken Genetic Gains (ACGG) research activities in the Southern Highlands of Tanzania. In this post, which is part of a series of portraits of key people in ACGG, he talks about his work. I hold a PhD in management of farm animal genetic resources – livestock populations genetics. Since 2003, I have been working on characterization and management of different livestock populations, and on other livestock research areas. From September 2016 to March 2017, I joined the Biosciences eastern and central Africa-International Livestock Research Institute (BecA-ILRI) Hub in Nairobi through the African Biosciences Challenge Fund (ABCF) Fellowship program to research on phenotypic and genetic characterization of promising indigenous chicken populations from Tanzania. The results have been achieved and two manuscripts for publication have already been prepared for submission to relevant journals. What unique component do you bring to the project? I’m happy to be part of this project because it is in my area of specialty and interest, Especially with regards to livestock genetics, conservation and production improvement through selective breeding and other livestock management approaches. My recent research findings from the study on genetic characterization of promising indigenous chicken populations from the Southern Highlands of Tanzania will also contribute to new findings and provide deeper insights to the project. My key role as a subnational coordinator responsible for execution of ACGG research activities in the Southern Highlands of Tanzania, is to supervise, support and monitor routine data collection from village enumerators and ensure that the correct information is submitted to the central database server. I am also the bridge between project leaders and implementers/enumerators and farmers in project sites. What is your current focus and upcoming work in ACGG? I am focusing on three major activities. The first is to continue the data collection, cleaning and analysis of the chicken breeds that have already been introduced and distributed to the participating farmers. Second, I am working on comparing the production performance of the ACGG chickens to native chicken breeds across different production environments. Lastly, I will be working on addressing challenges that arise in due course. There is higher production capacity of ACGG chickens in terms of number of eggs, growth rates and mature body weights compared to traditional/native birds. The introduced breeds are taking a shorter time until laying the first egg and reaching mature body weights than native chickens. There is a high rate of adoption from contact and non-contact farmers leading to high demand for chicks of the introduced chicken breeds. How the private sector can supply abundant chicks to satisfy the fast growing demand of day-old chicks from smallholder farmers. How farmers can produce locally available feed resources to support production of preferred chicken breeds; instead of depending purely on scavenging or commercial feeds, which are relatively expensive to most poor farmers. How the interesting innovation of public-private partnerships, in ACGG, can be sustained beyond the project’s lifetime. How locally available chicken ecotypes can also be improved to increase eggs and meat production. What are you seeing as being unique to your region? Some farmers are now going beyond the project vision – by crossing local chickens with Sasso cockerels to improve performances of native birds. Unlike previous perception that local chickens are owned by women and youths, men are currently interested and engaging in chicken farming with a focus on commercial production. The majority of participating families are covering the cost of their basic needs, like food, education, housing and health through the sales and consumption of eggs and chicken. Introduced chicken breeds are performing better in different agro-ecologies and farming systems. Why does this work matter and what gets you excited about this project? This project matters because it works towards improving the livelihoods’ of vulnerable groups in poor rural communities. Its main aim is to empower women and youths to meet their basic living needs. I’m excited to see poor rural people gradually become able to meet their daily needs, earn money to send their children to school, build their own houses and generally meet other basic needs. With time, I hope contact and non-contact families will be in the position to declare themselves free from malnutrition, food insecurity and poverty. What causes some concern for you in your work and how are you thinking of getting over this? The arising concern from this initiative is the rapid increase of demand for chicks among contact and non-contact farmers. The majority of farmers are highly motivated to keep the newly introduced chicken breeds due to their performances in terms of eggs and meat production. In my opinion, the only and quick solution to this challenge is to encourage more private companies with hatcheries to engage in the business of chicks multiplication and delivery to rural farmers. In addition, it is also important to lobby the government and policymakers so that an enabling environment for poultry farming is created. I think the greatest impact of ACGG that I foresee is that it will economically empower women and youths, which, in turn will benefit their families and boost the economic growth of project countries. I further expect a great rise in demand for day-old chicks from participating and non participating households creating strong linkages among actors along the entire chicken value chain. We are obliged to strengthen networks among participating countries, and to continue sharing information and other insights with respect to the project. We also must continue research on more productive tropically-adapted chicken ecotypes for present and future generations without forgetting to conserve the chicken breeds we already have in Africa. Tags: Pius Mwambene, voices. Bookmark the permalink. Oh this is one of a wonderful strategies I like ever!bsed upon different research findings,livelihood insecurity that experienced by women is aggravated by a number of man-made as well as natural factors.Artificial economic resources are one of the factor that contribute towards extreme poverty and chronic level of malnutrition particularly in women and children.As result of this ,investing in women means in investing in communities because women and girls are critical agent in the fight against poverty and hunger,Therefore,empowering and engaging women in economy is a critical solution to end poverty and hunger for once and all.